Win a romantic Valentine's dinner for two plus two tickets for the Northampton Town Football Club v Gillingham game at Sixfields Stadium on February 13th! You and your partner could win tickets for the game and a full hospitality evening for both of you! All you have to do is comment on our facebook post and tell us why you should win. 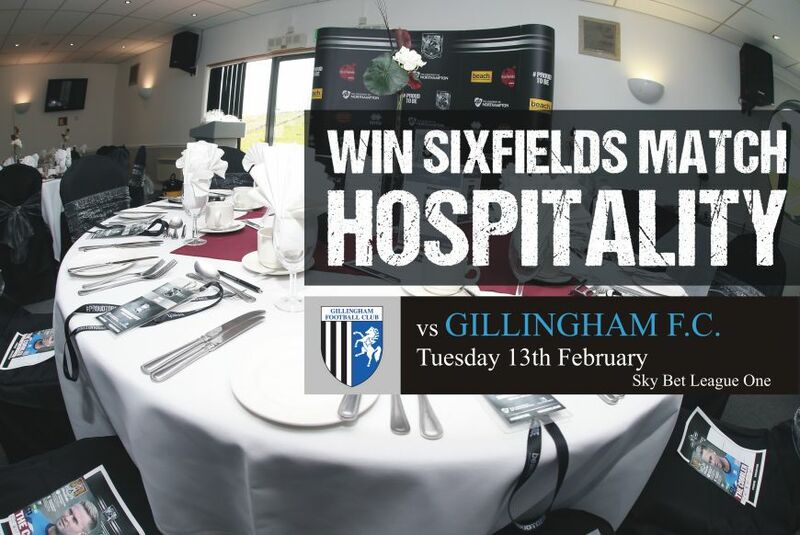 The prize is 2 tickets to the NTFC v Gillingham fixture on the 13th of February accompanied by a full hospitality evening for the winner and their partner. The closing date and time is Saturday the 10th of February 2018 at midnight UK time. Entries must be from the UK and be over 18. To enter, comment on our our facebook post with the reason of why you should win the tickets. The 1 winner will be chosen by the marketing team. The winner will be announced on the 12th of February on Facebook and the winner will be informed via Facebook private message. By entering this competition, this confirms entrants have read, understood and agree to these terms and conditions.